"Marcus Tullius Cicero[n 1] (/ˈsɪsəroʊ/; Classical Latin: [ˈmaːr.kʊs ˈtʊl.lɪ.ʊs ˈkɪ.kɛ.roː]; 3 January 106 BC – 7 December 43 BC) was a Roman politician and lawyer, who served as consul in the year 63 BC. He came from a wealthymunicipal family of the Roman equestrian order, and is considered one of Rome's greatest orators and prose stylists. According to Michael Grant, "the influence of Cicero upon the history of European literature and ideas greatly exceeds that of any other prose writer in any language". From: M. Tullius Cicero. 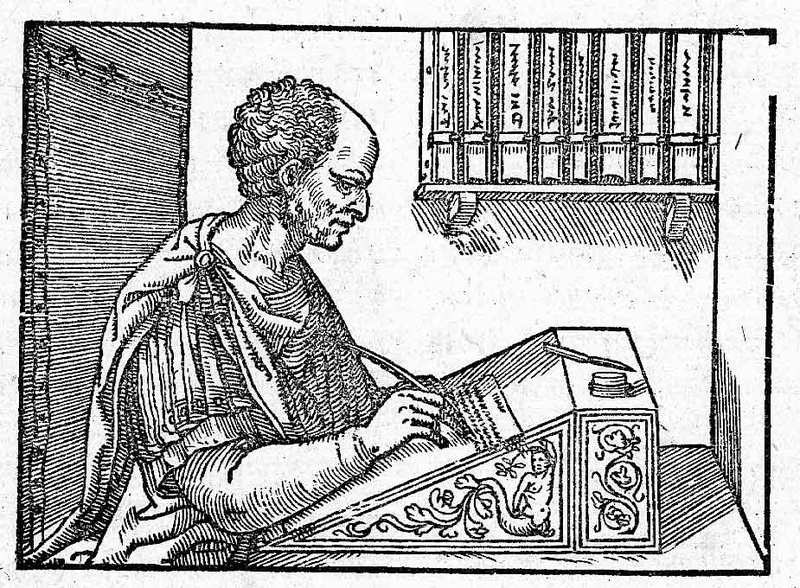 The Orations of Marcus Tullius Cicero, literally translated by C. D. Yonge, B. A. London. Henry G. Bohn, York Street, Covent Garden. 1856. Pro Flaccus. But all the republics of the Greeks are governed by the rashness of the assembly while sitting. Therefore, to say no more of this Greece, which has long since been overthrown and crushed through the folly of its own counsels; that ancient country, which once flourished with riches, and power, and glory, fell owing to that one evil, the immoderate liberty and licentiousness of the popular assemblies. When inexperienced men, ignorant and uninstructed in any description of business whatever, took their seats in the theatre, then they undertook inexpedient wars; then they appointed seditious men to the government of the republic; then they banished from the city the citizens who had deserved best of the state.